Like Cinderella, every girl (or guy) could use a fairy godmother. 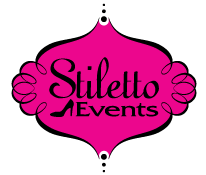 Why not let the trained fairy godmothers of Stiletto Events be yours? With our partial planning package, we’ll help you take your vision from dreams to reality. This package is designed for clients who have their wedding venue, loves to plan and/or has roughly half of their wedding finalized. We’ll give you the professional guidance and assistance throughout your planning while ensuring nothing has been overlooked or missed.